The Palestinian Prisoners’ Society (PPS) has reported that Israeli soldiers abducted, on Sunday at dawn, at least thirteen Palestinians, including three children, in several parts of the occupied West Bank. 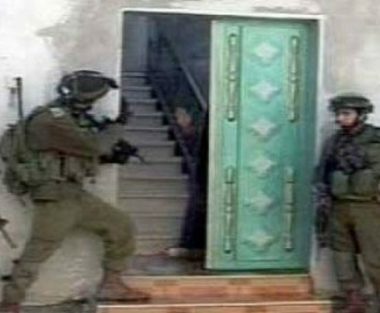 The soldiers invaded and ransacked dozens of homes, across the occupied West Bank, and interrogated many Palestinians while inspecting their ID cards. In Ramallah governorate, in central West Bank, the soldiers abducted eight Palestinians, including former political prisoners, from their homes in several communities. The soldiers also abducted a blind man identified as Sheikh Ali Hannoun, and a former political prisoner, Maher Shreiteh, after invading their homes and searching them, in the al-Mazra’a al-Gharbiyya village, northwest of Ramallah. In addition, the soldiers abducted Khaled Ahmad Qa’ad, from his home in Abu Qash town, north of Ramallah, while Rashad Karaja, was abducted from his home in Safa town, west of Ramallah. In Hebron, in southern West Bank, the soldiers invaded and searched many homes, and abducted three children, identified as Qussai Emad Badawi, Wael Jaber Badawi and Mohammad Nasser Mahfouth, 13 to 15 years of age, in addition to Jabr Wisam at-Teety. In Jerusalem, the soldiers abducted a young man, identified as Saher Khaldoun Bahlaq, 18.